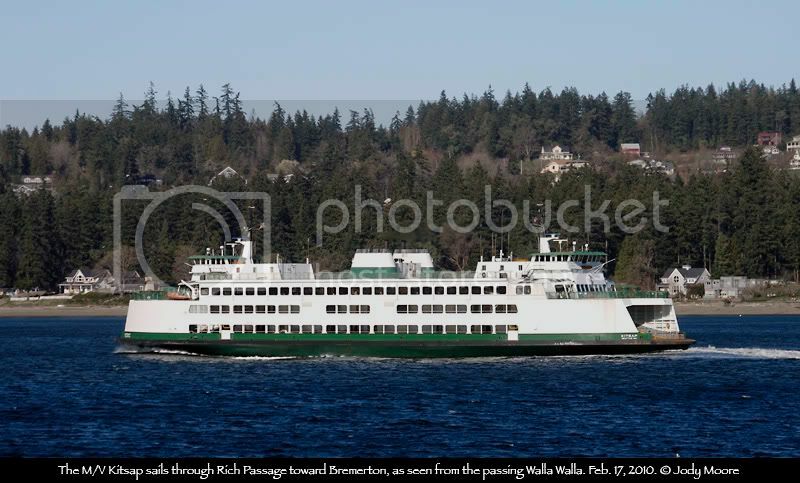 I had a few different choices on the Kitsap, but settled on this one taken yesterday because it was a very interesting angle I'd not had the fortune to shoot before. 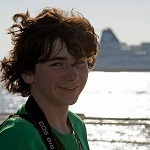 So here's the newest photo in the group, taken just yesterday. 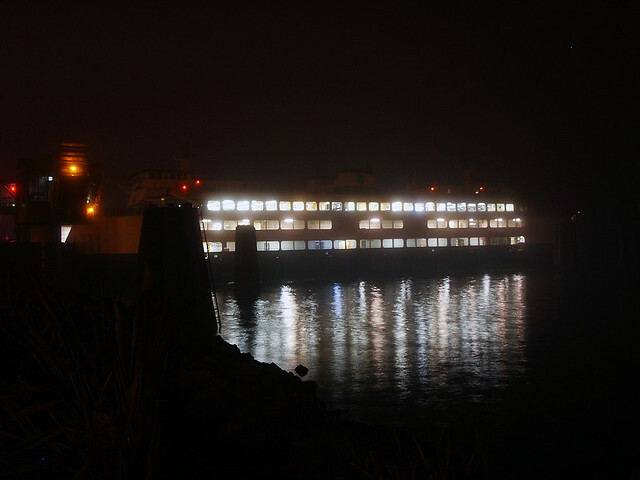 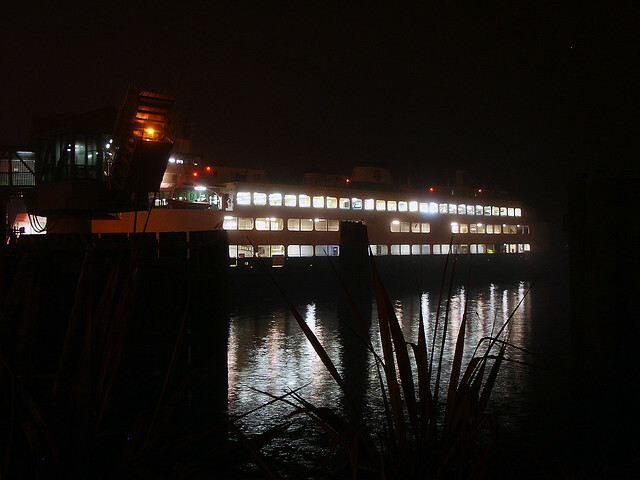 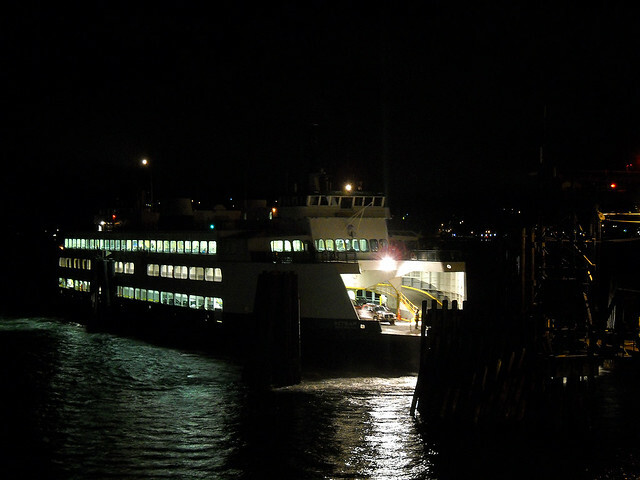 Took some nice night shots of the MV Kitsap tonight. 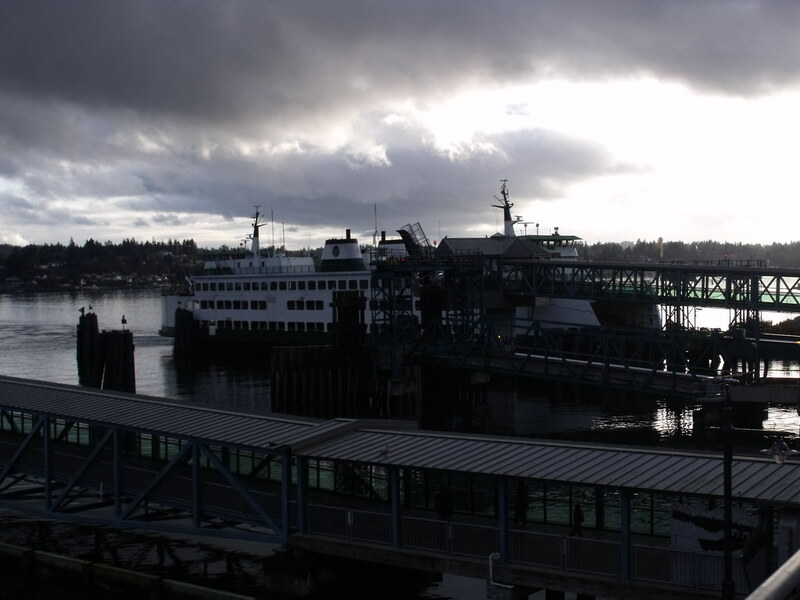 These were taken on its last arrival in Bremerton for the night, as it was positioned in Slip 2 when it made landfall. 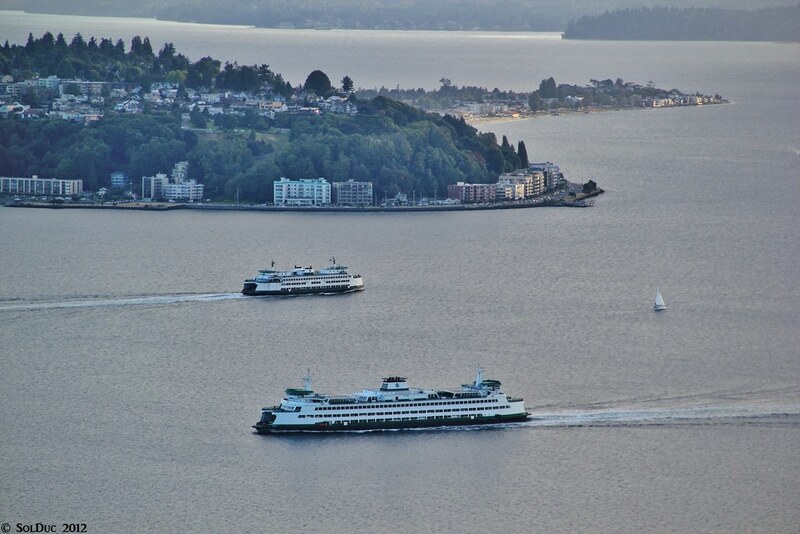 The last two were taken from the same location my last set of MV Kaleetan photos were taken. 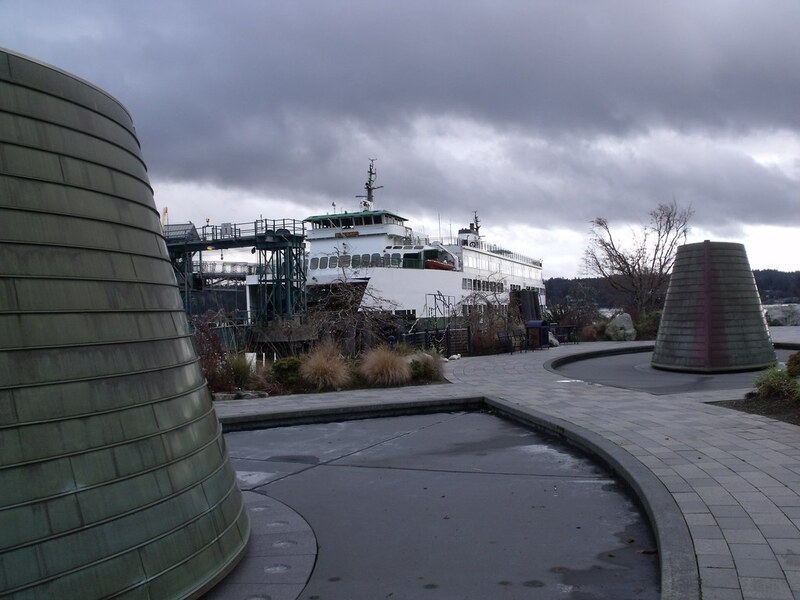 I hope to have both vessels photographed at night from this spot sometime soon. 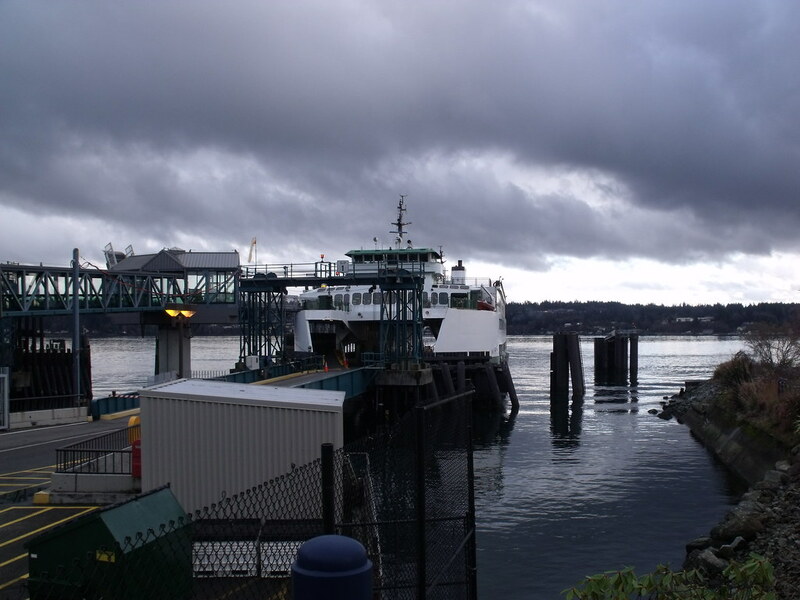 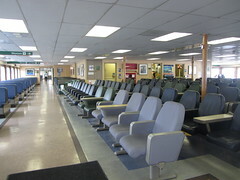 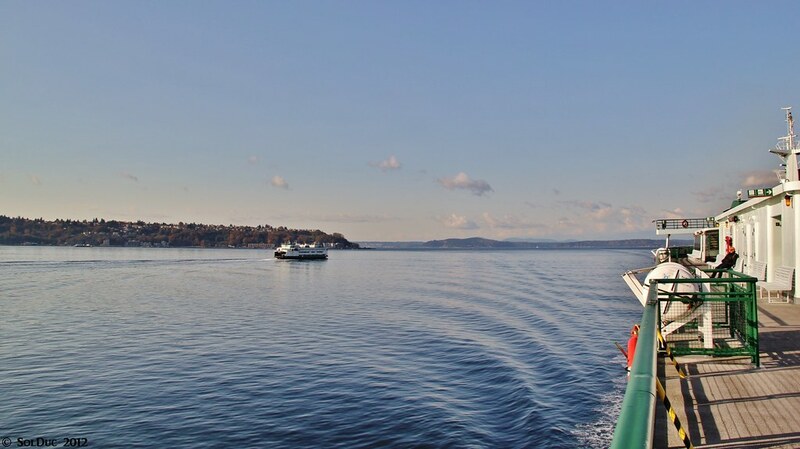 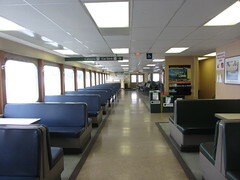 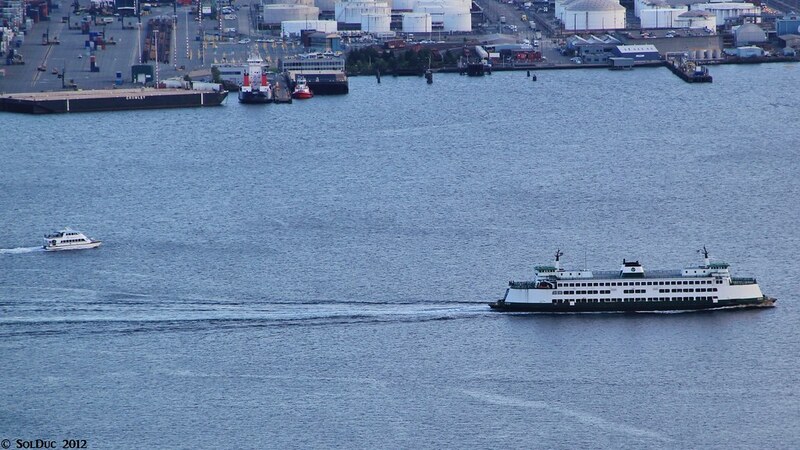 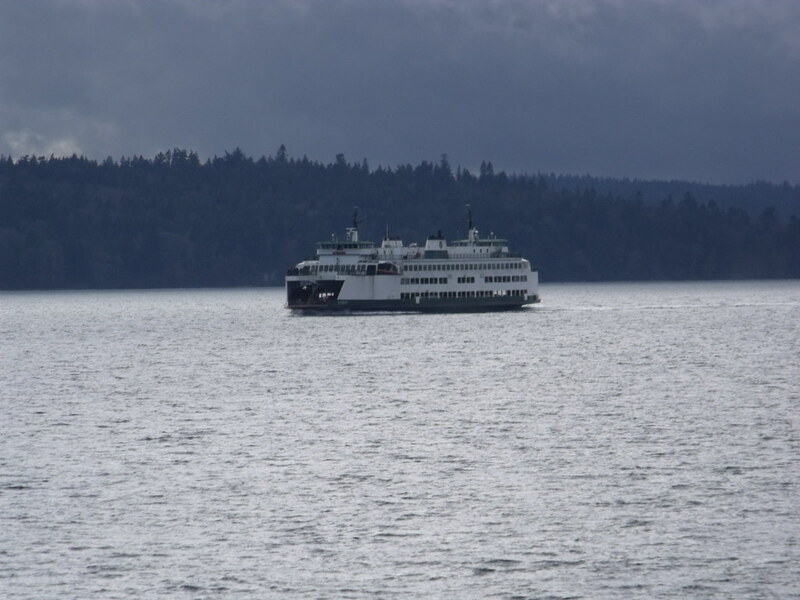 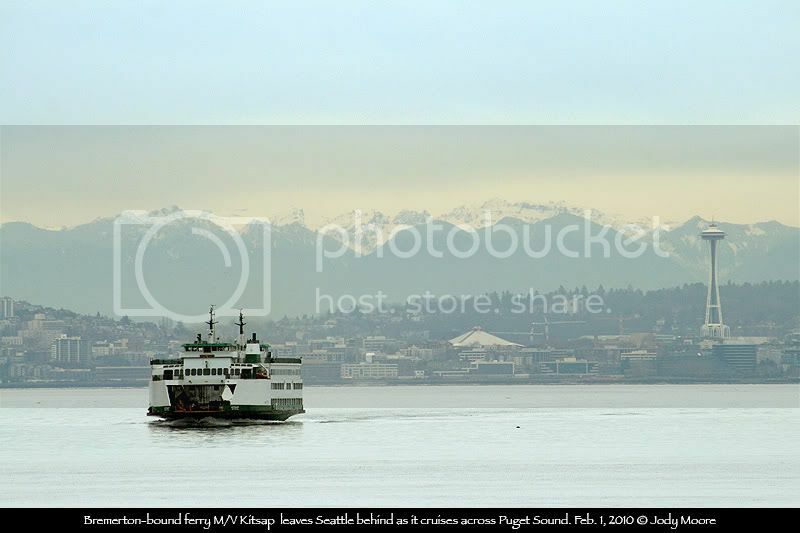 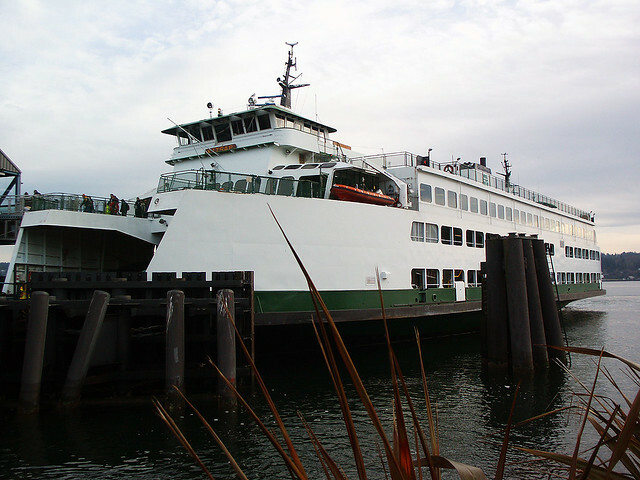 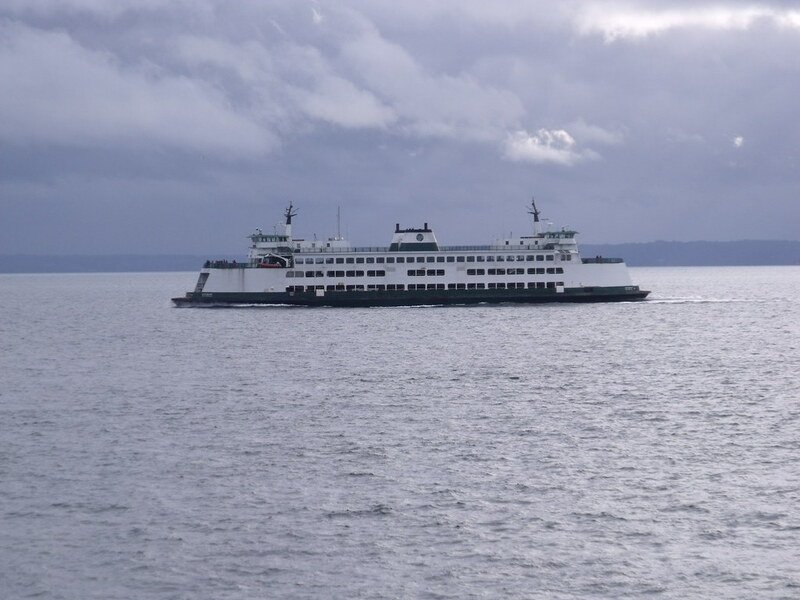 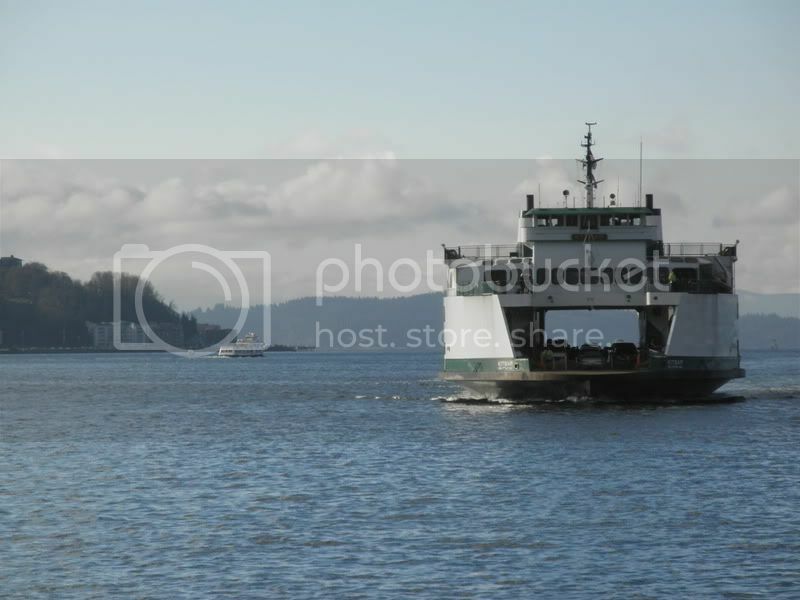 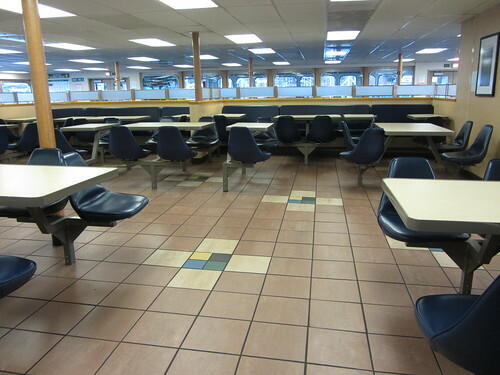 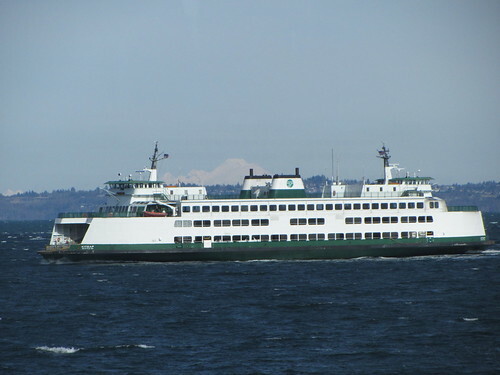 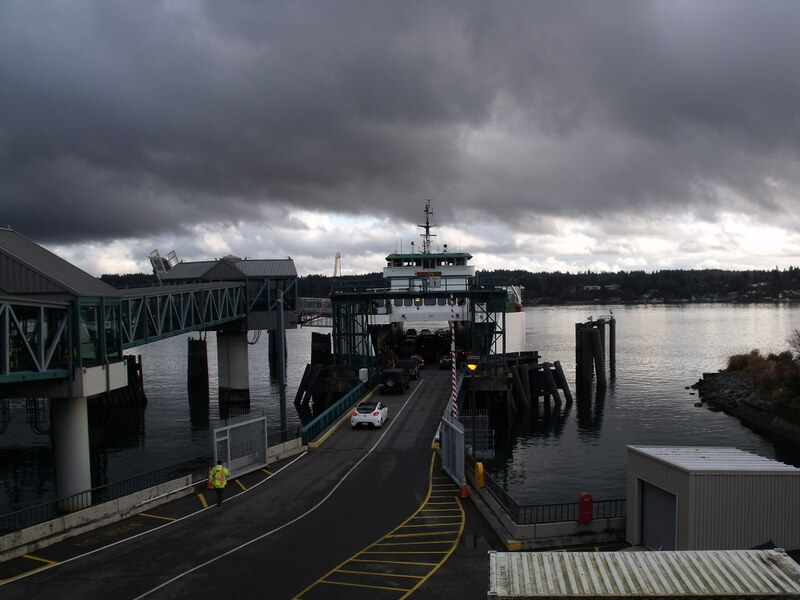 Some new pix of the Kitsap while serving the SEA-BREM ferry run. 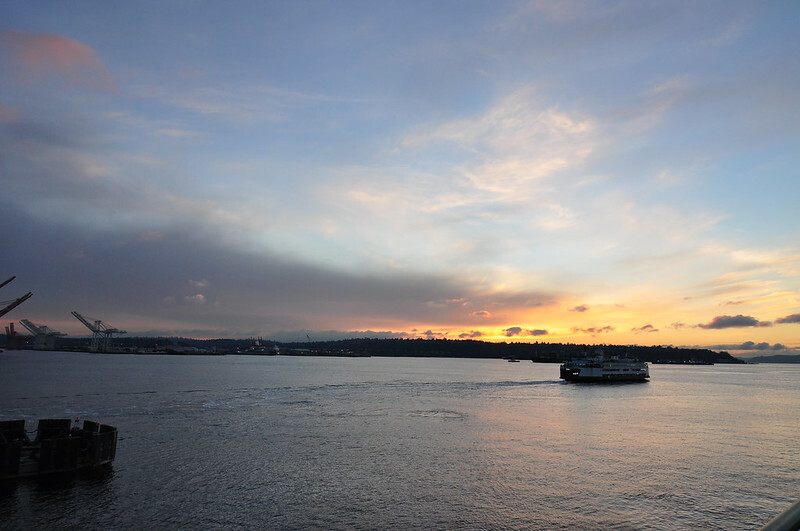 These were taken over the period of two days with two different cameras. 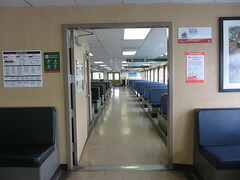 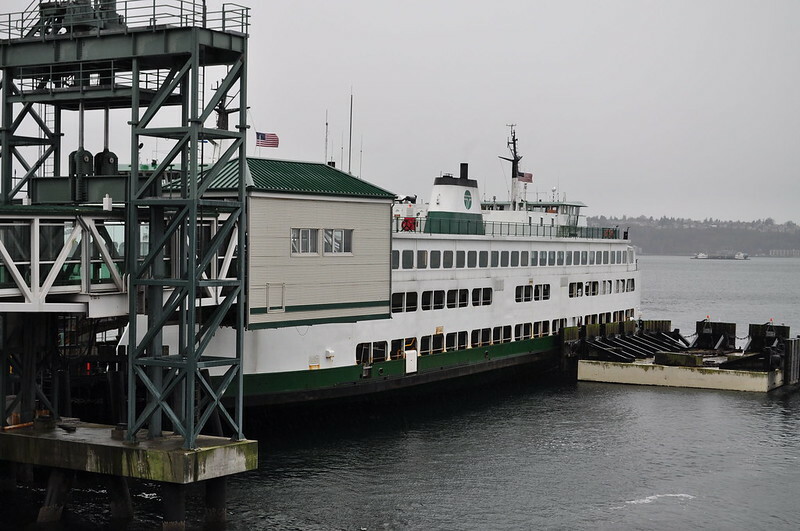 I like how you can still see the original car deck port configuration on the Issaquah-130 class ferries before the installation of the 'tween decks. 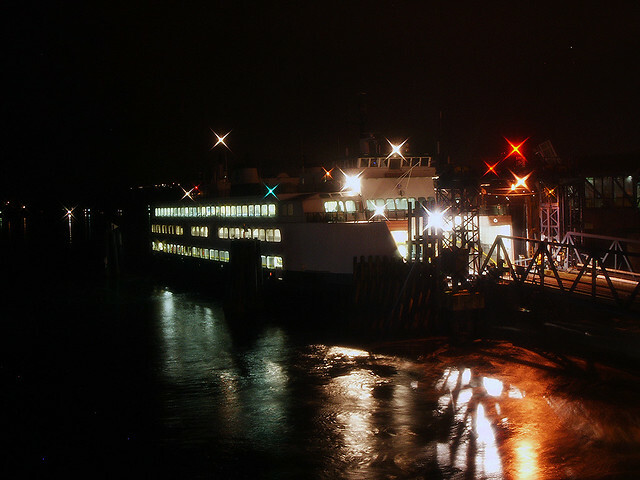 And one taken last night with my brand new Nikon Coolpix L20 10mp camera. 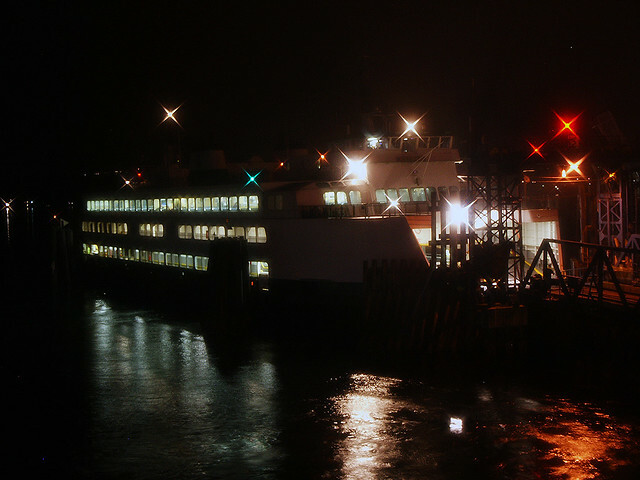 I officially semi-retired the camera used to take a majority of my ferry pix when I got this camera, and these were test shots. 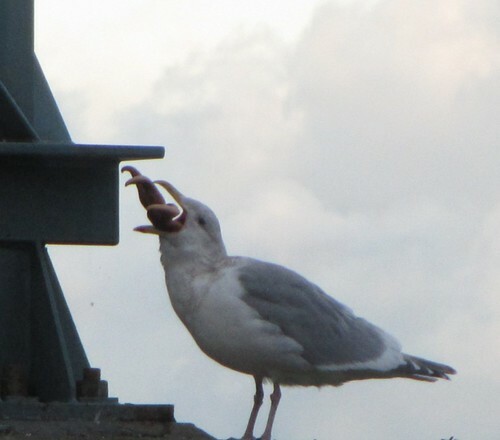 I was surprised at how well these test shots turned out! 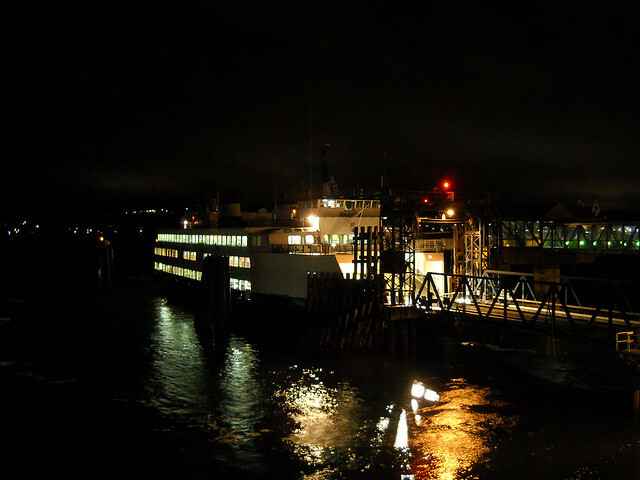 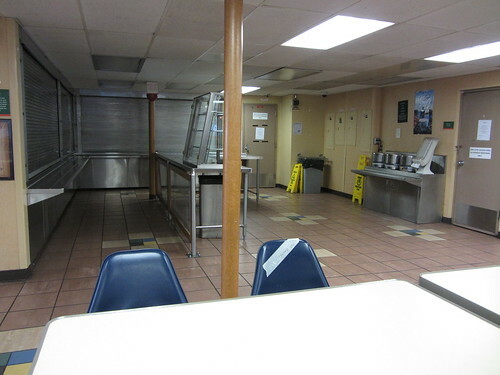 These were taken at the last crossing from Seattle for the MV Kitsap, at approximately 9:30 last night. 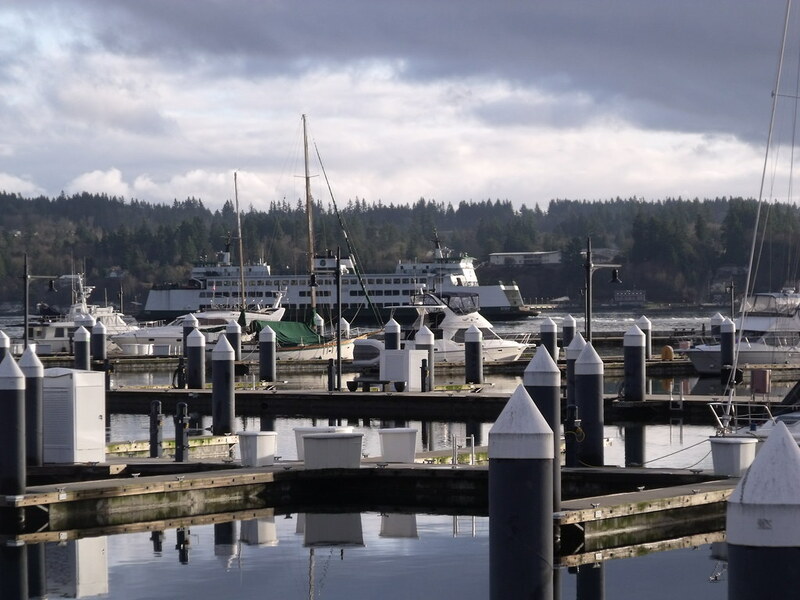 A few more of the Kitsap taken today! 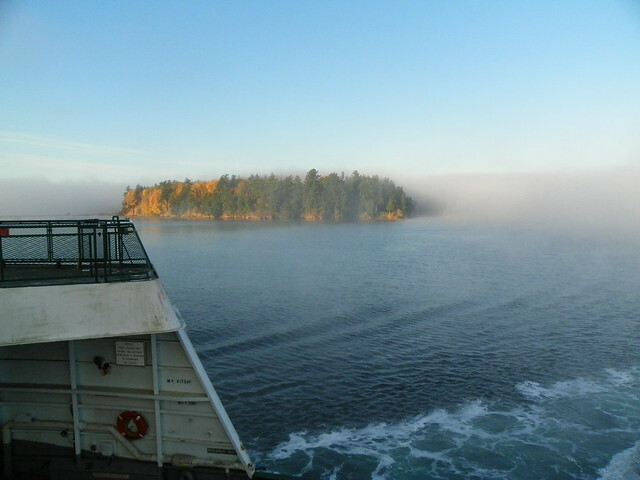 An interesting morning. 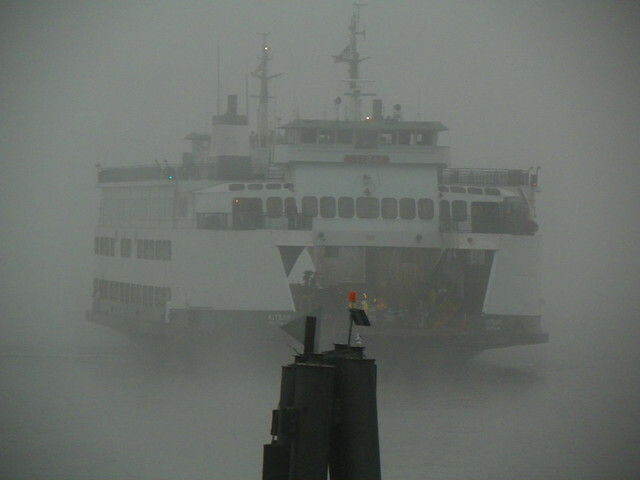 Due to heavy fog, the Kitsap did not depart Bremerton at 7:20; instead it was around 7:50. 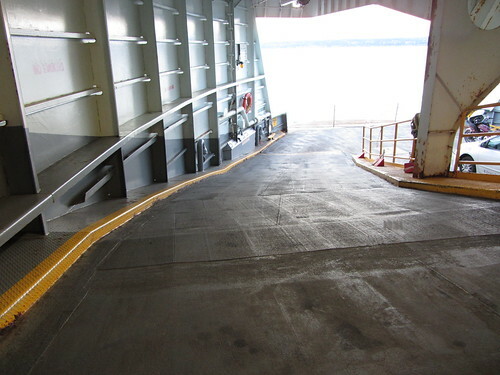 I think the ramps got the same treatment. 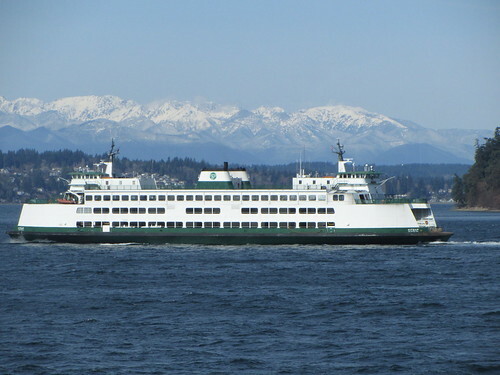 A moment later; The Olympic Mountains providing another spectacular backdrop for the Kitsap as she sails towards Southworth. 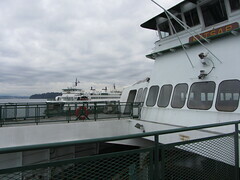 I figured out those mini fences under the rescue boats on the galley decks of the Issys were to prevent people from going to the lifeboat rescue boat? 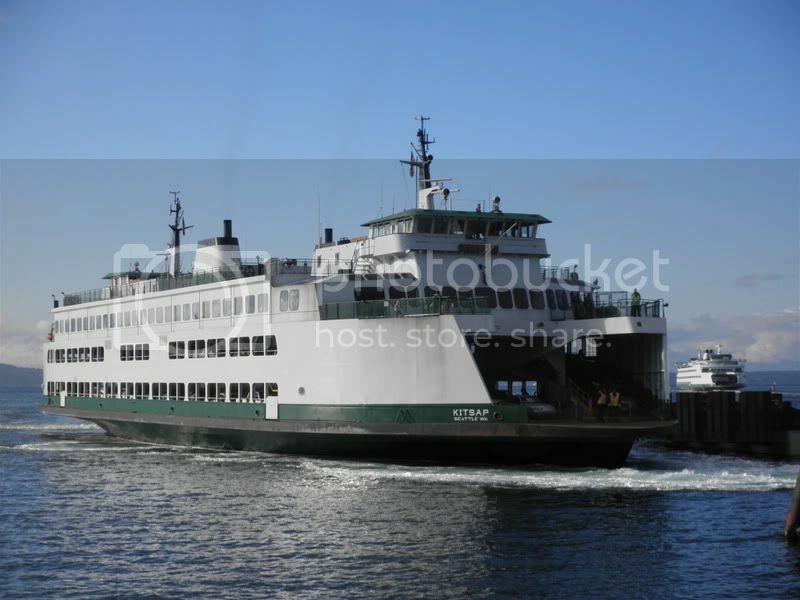 If anybody else (I guess Barnacle would know) has another answer, please post it. 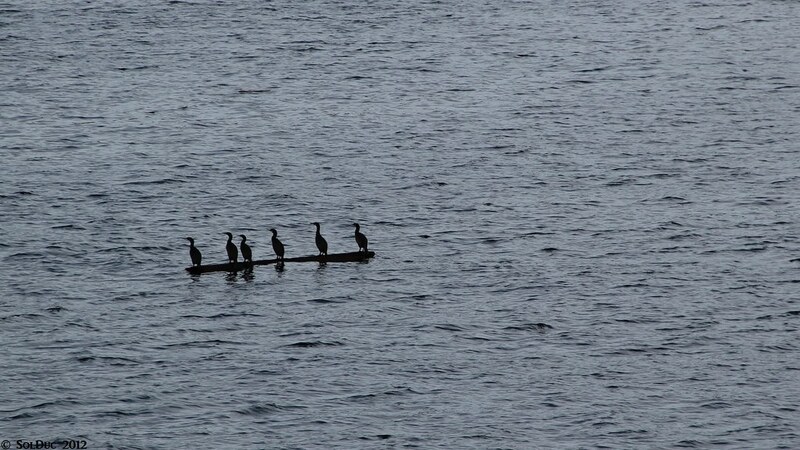 And now, six brids were drifting on a branch, not stressed. 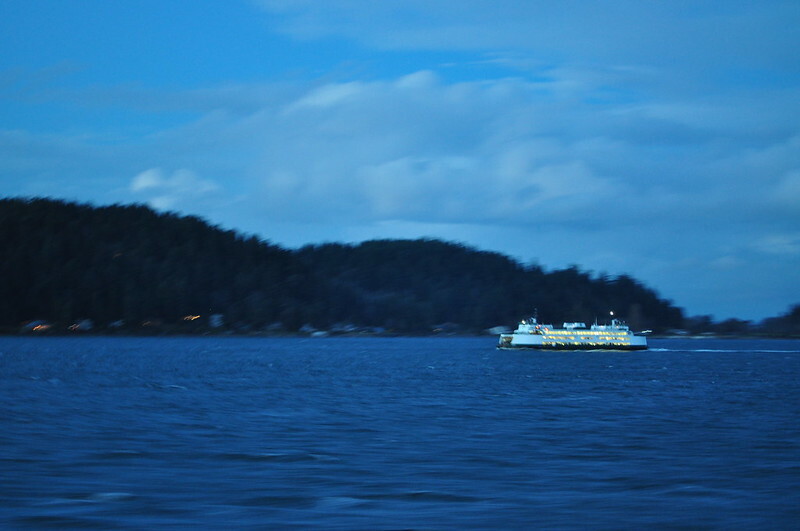 This was probably the highlight of the trip. 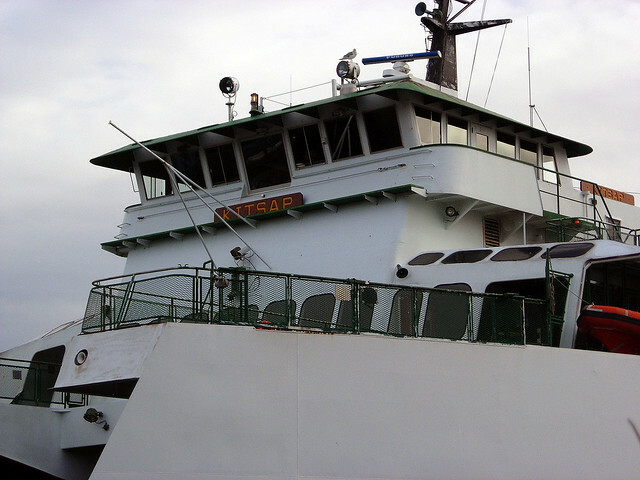 I figured out those mini fences under the rescue boats on the galley decks of the Issys were to prevent people from going to the lifeboat? 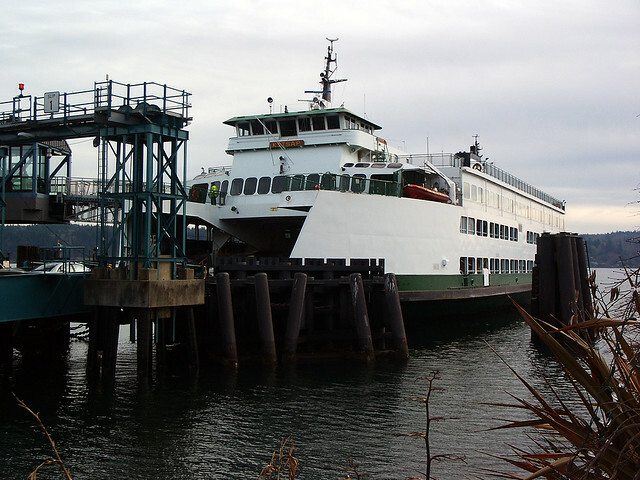 If anybody else (I guess Barnacle would know) has another answer, please post it. 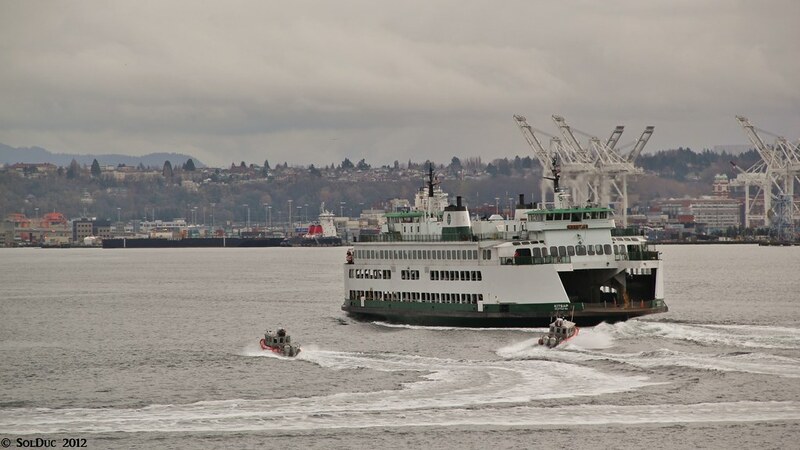 Well, technically those aren't lifeboats; they're rescue boats. 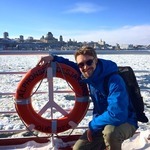 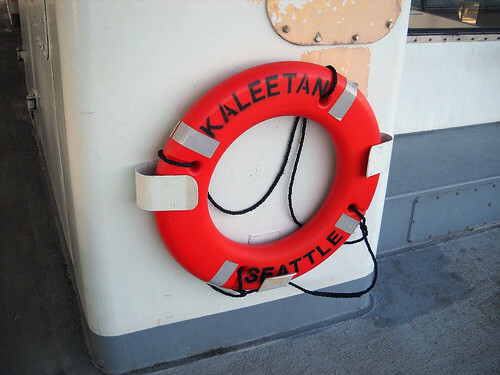 They are used to tow the inflatable liferafts away from the vessel in case of evacuation. 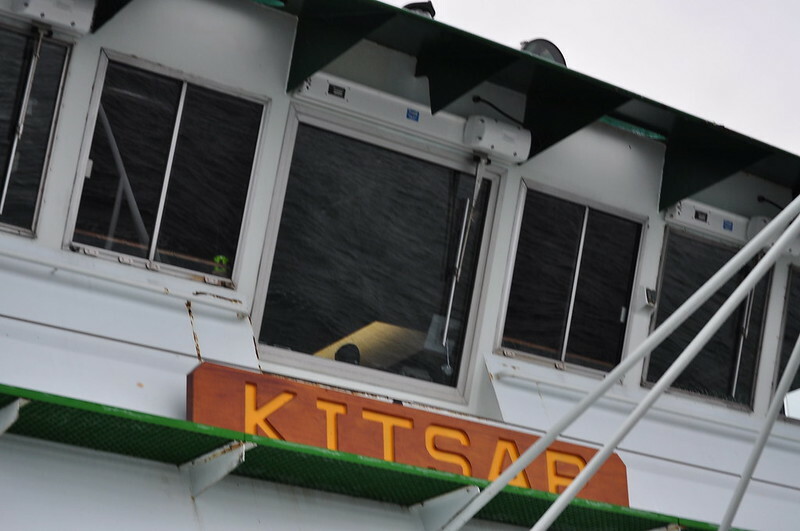 The grills and miscellaneous plumbing are actually there to keep the rescue boat from swinging about too far and snagging itself in the auto deck port, which would either damage the craft or dump its occupants in the water. 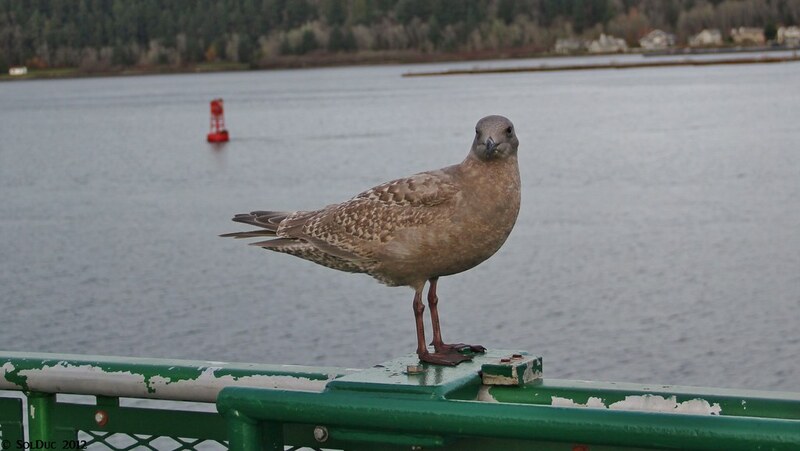 Ok, I see, other way around. 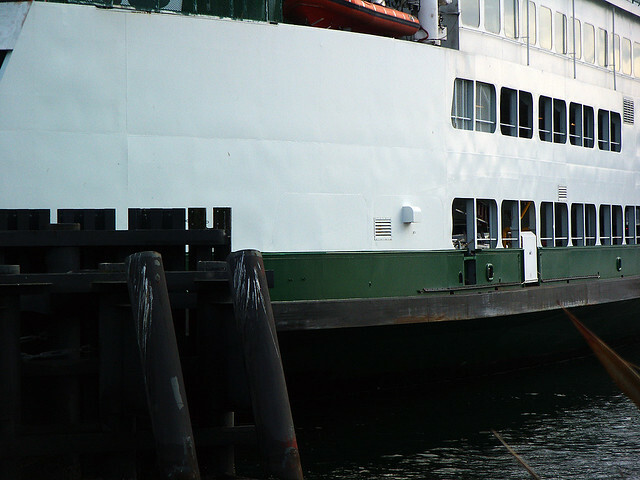 I tend to say lifeboat instead or rescue boat a lot. 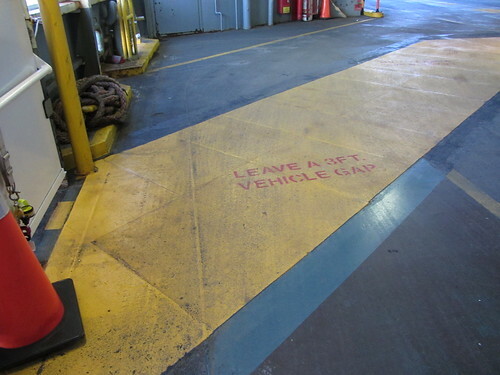 Ill fix it. 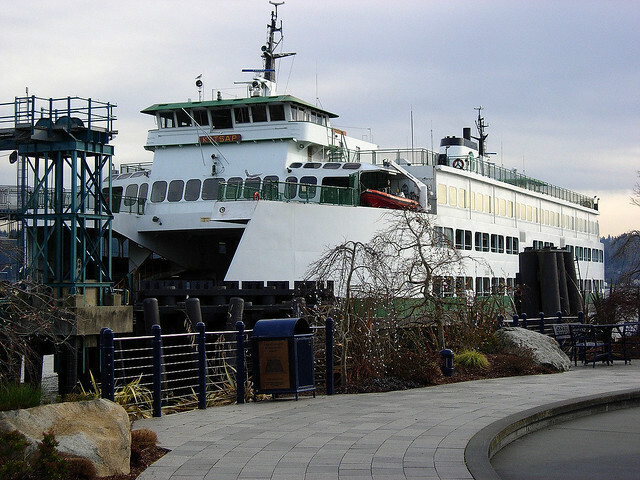 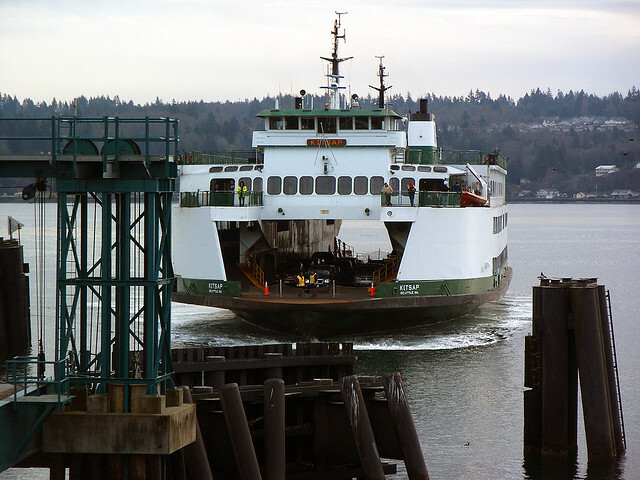 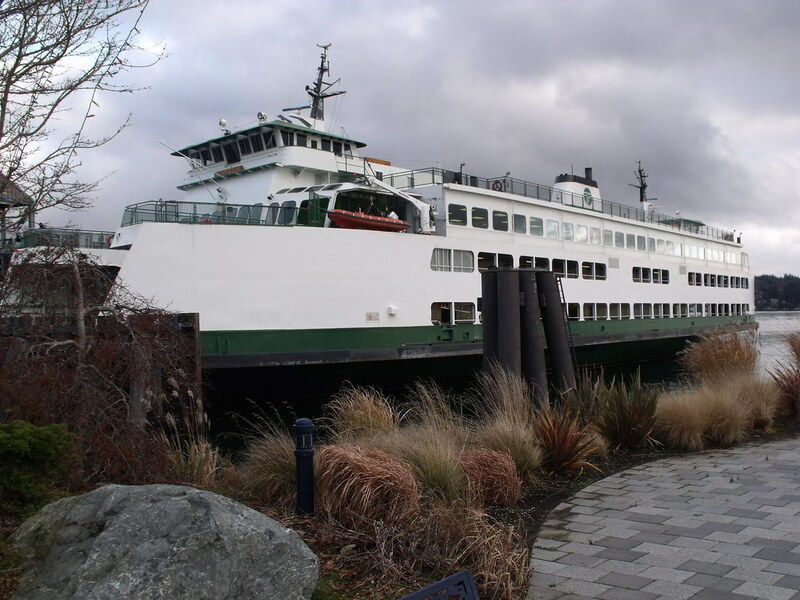 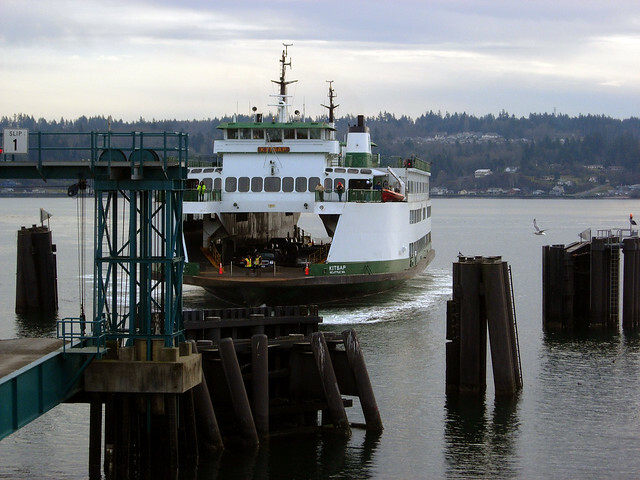 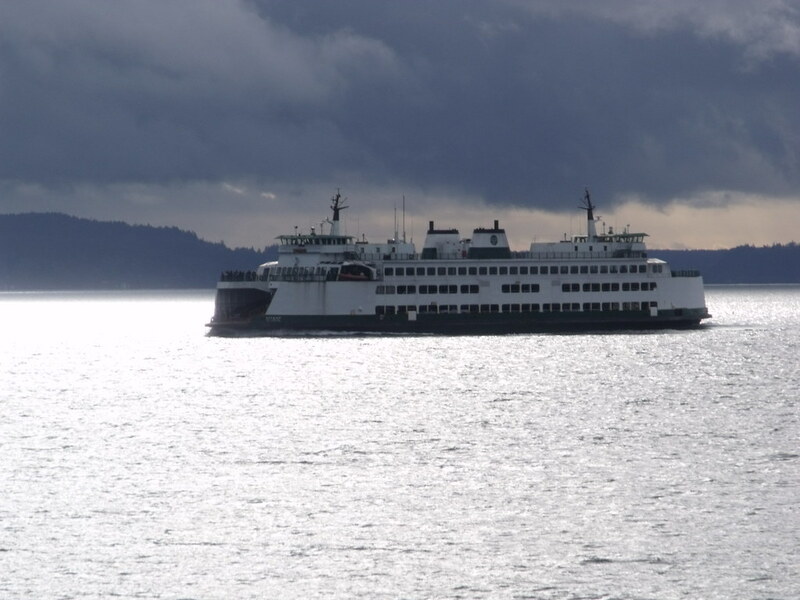 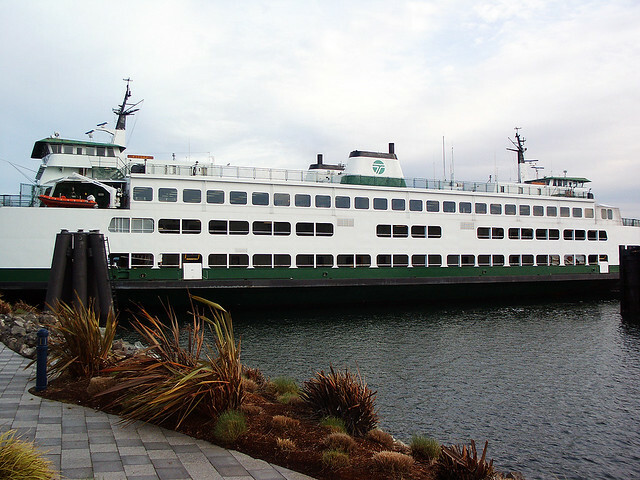 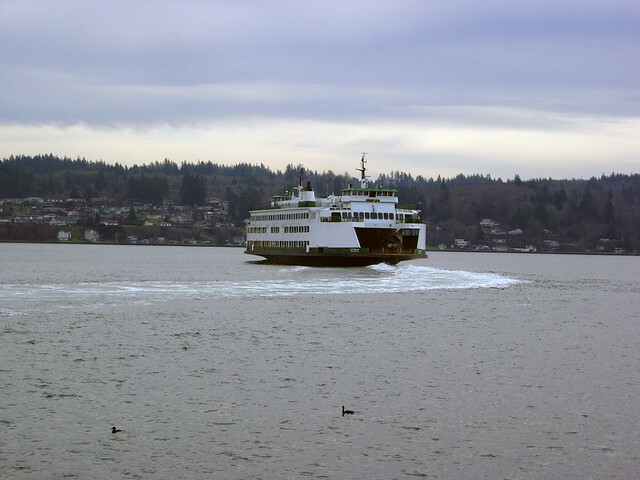 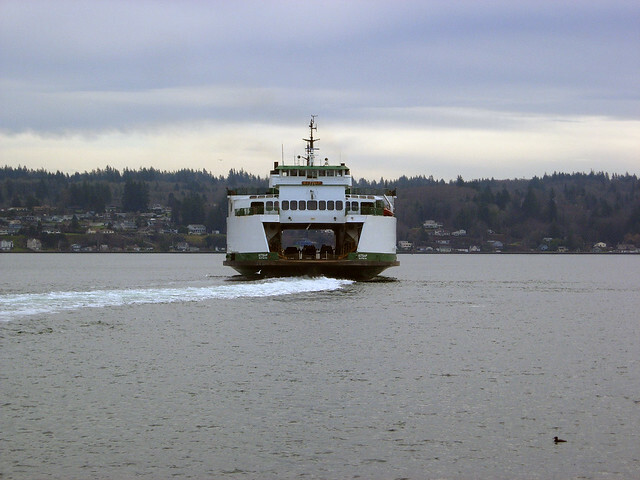 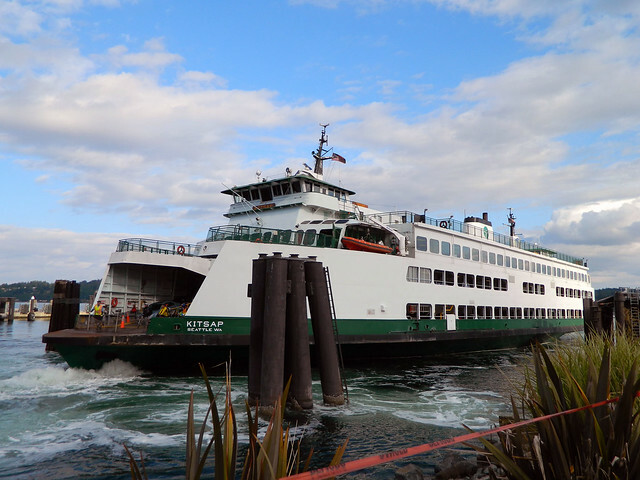 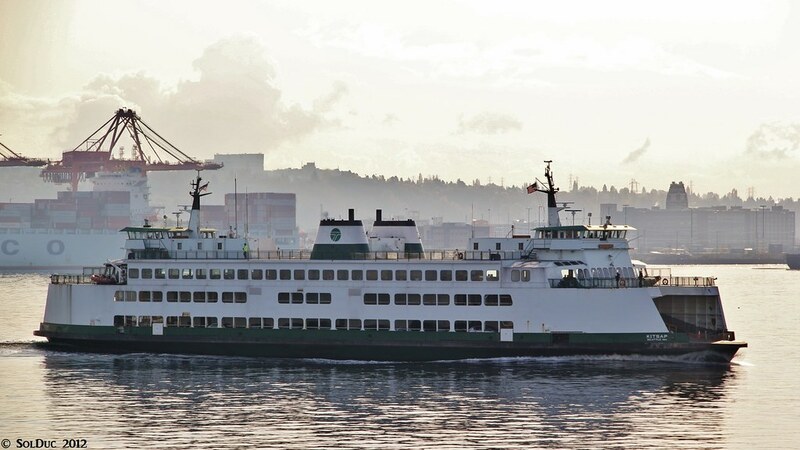 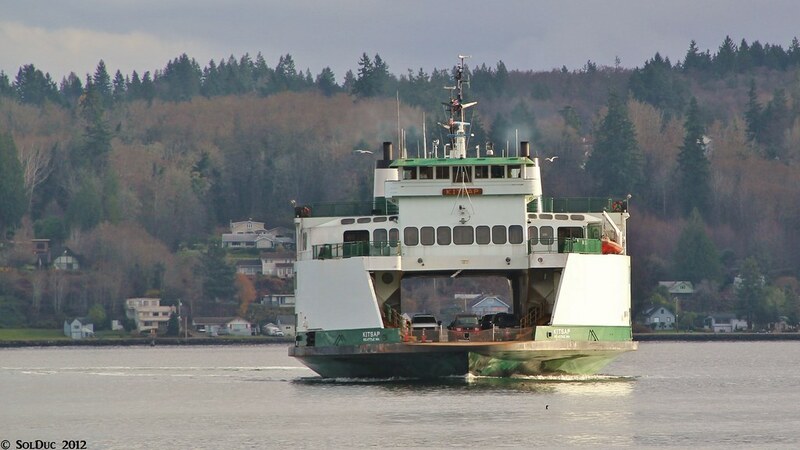 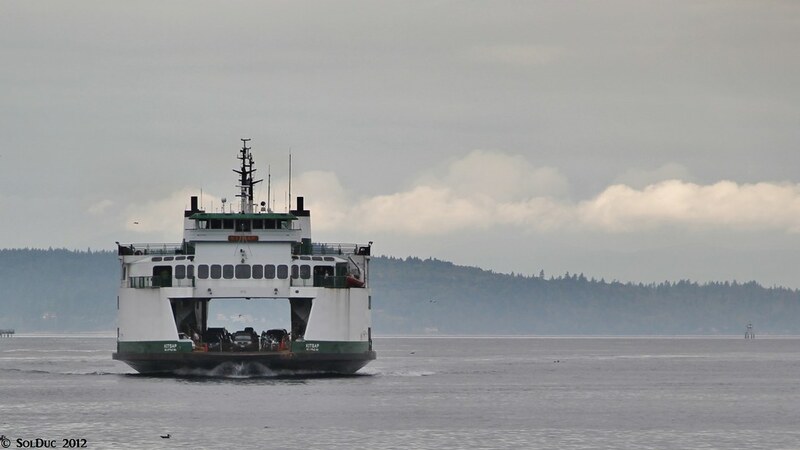 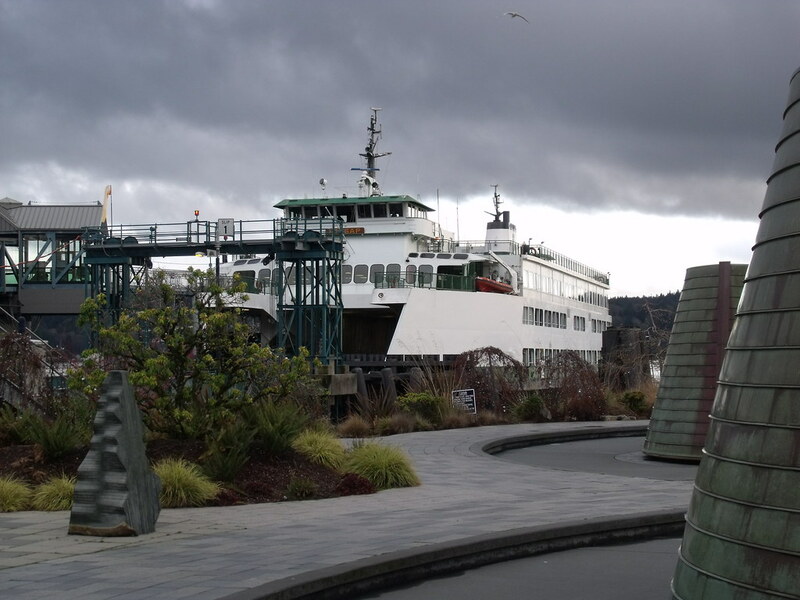 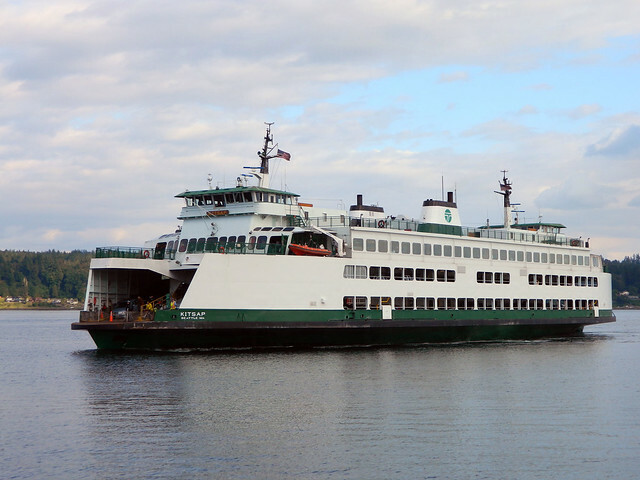 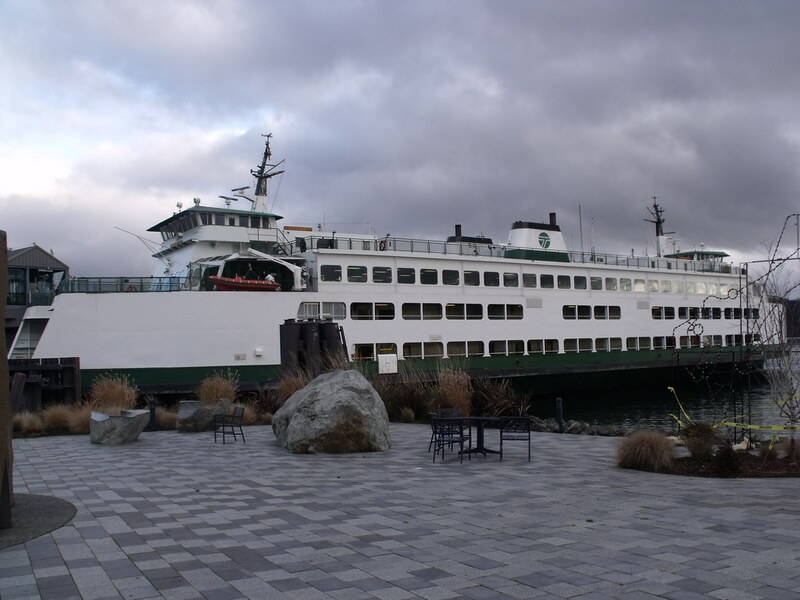 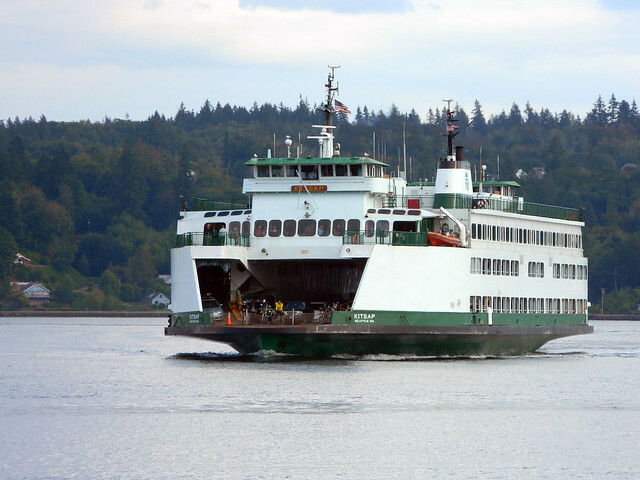 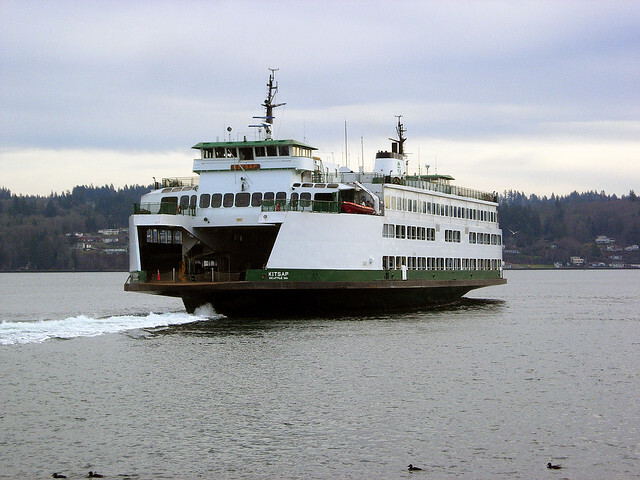 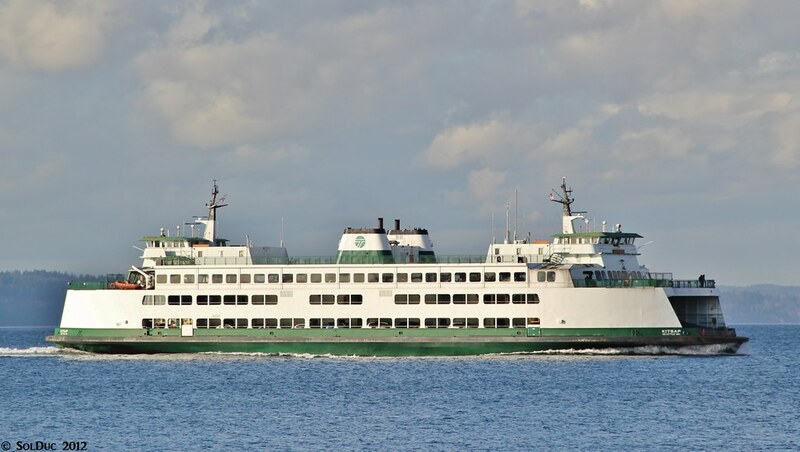 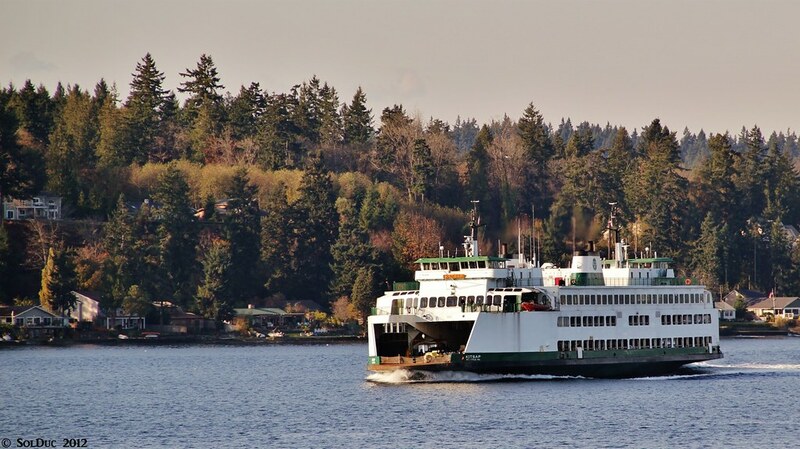 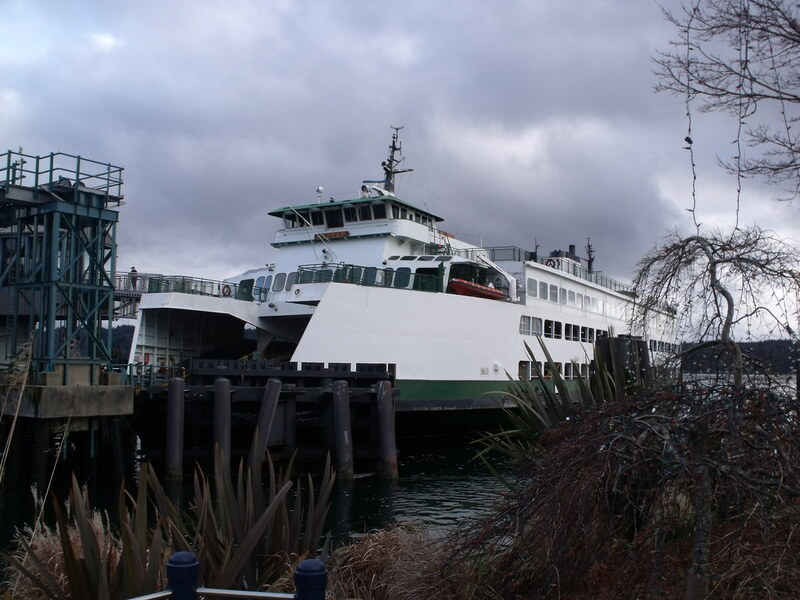 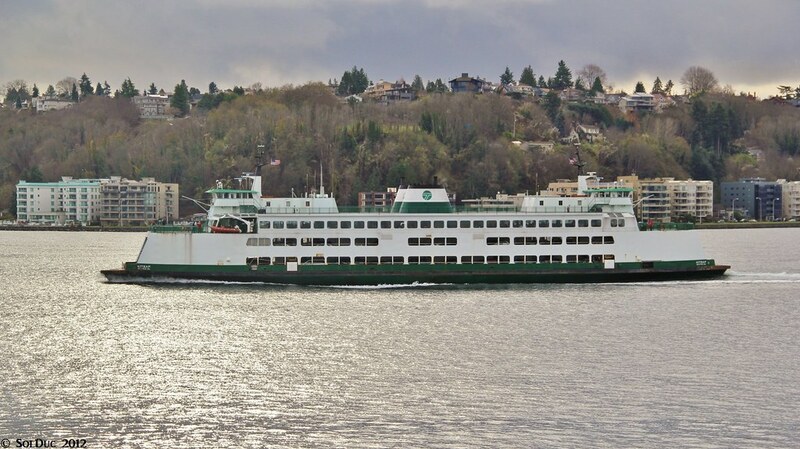 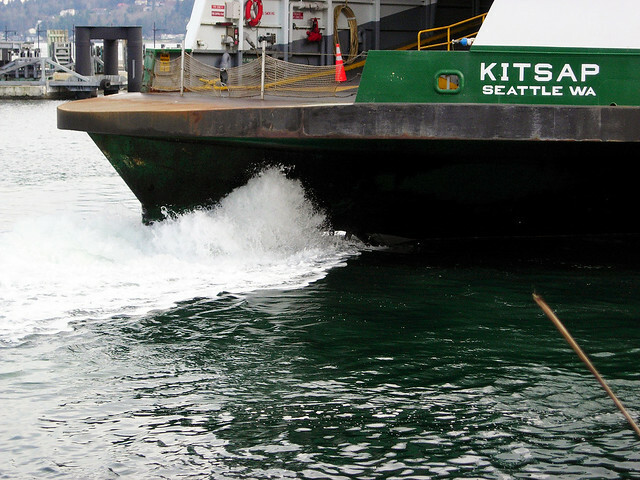 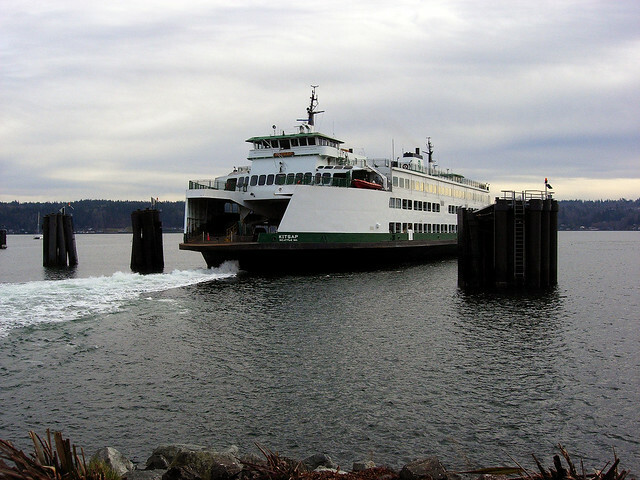 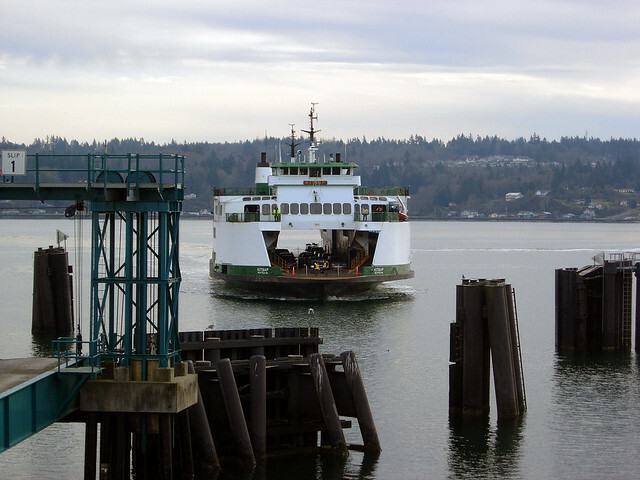 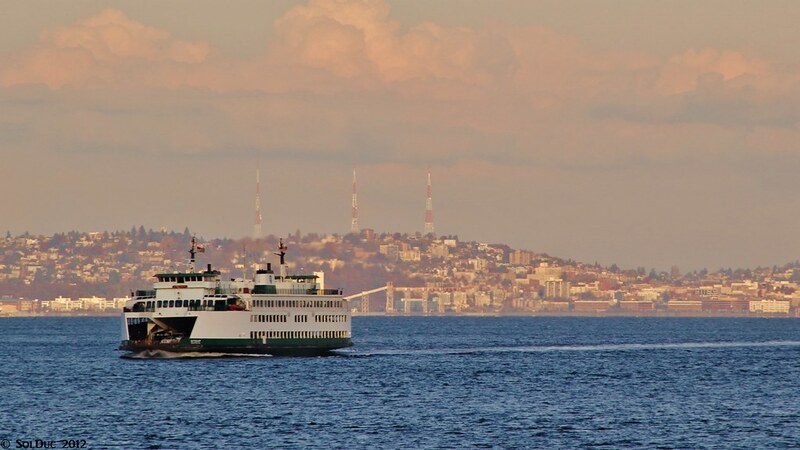 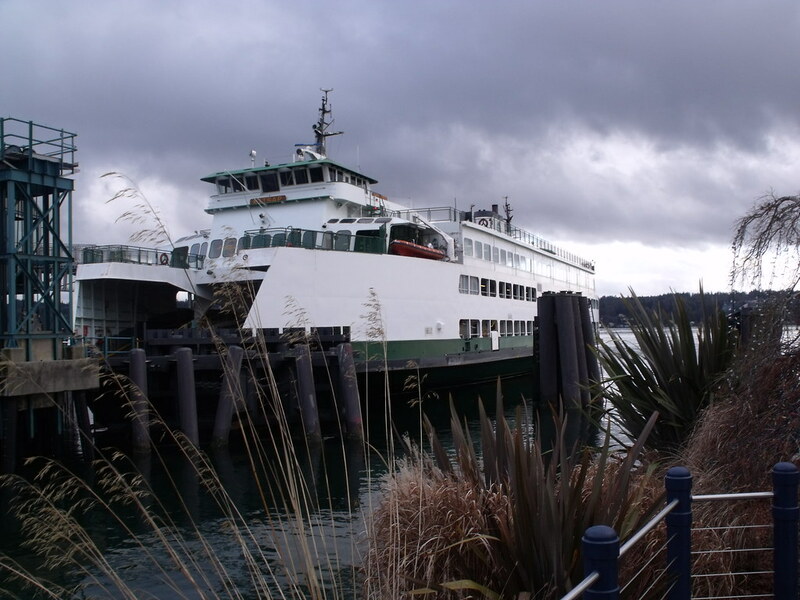 The Kitsap is going to be on Fauntleroy / Vashon / Southworth route to replace the Salish in the next few weeks. 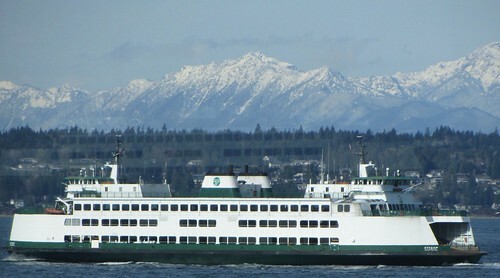 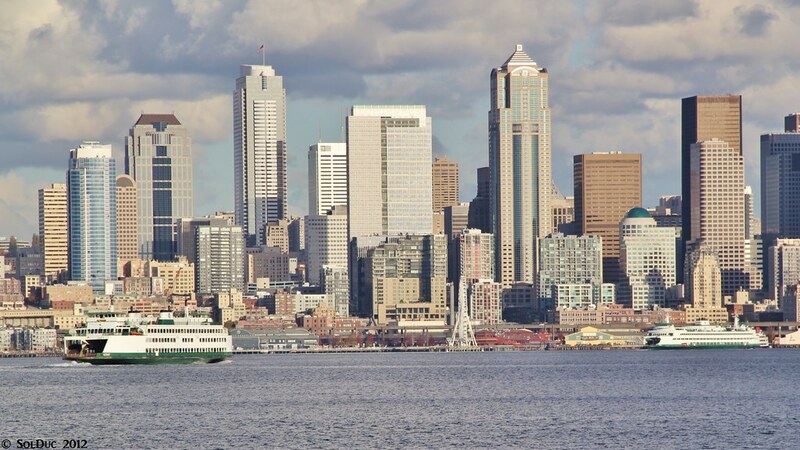 Kitsap as seen from Bremerton. 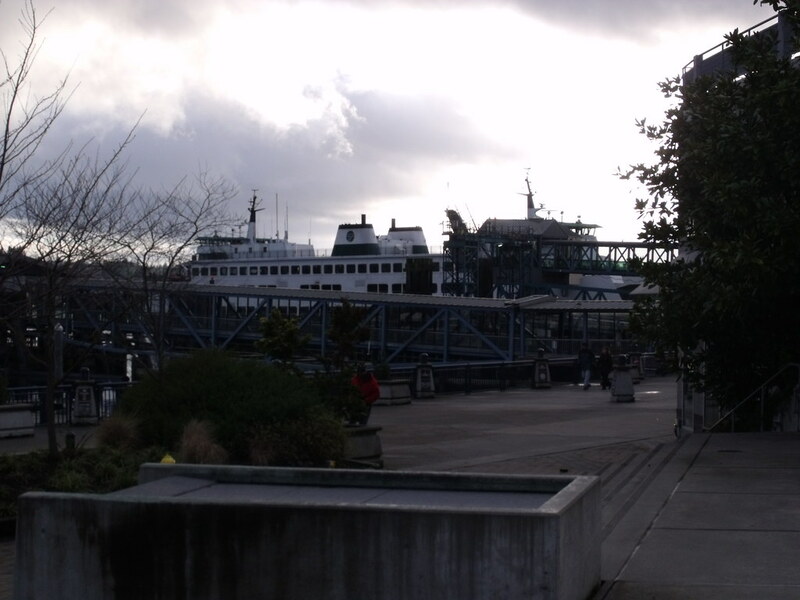 The next few photos had a fire drill going on. 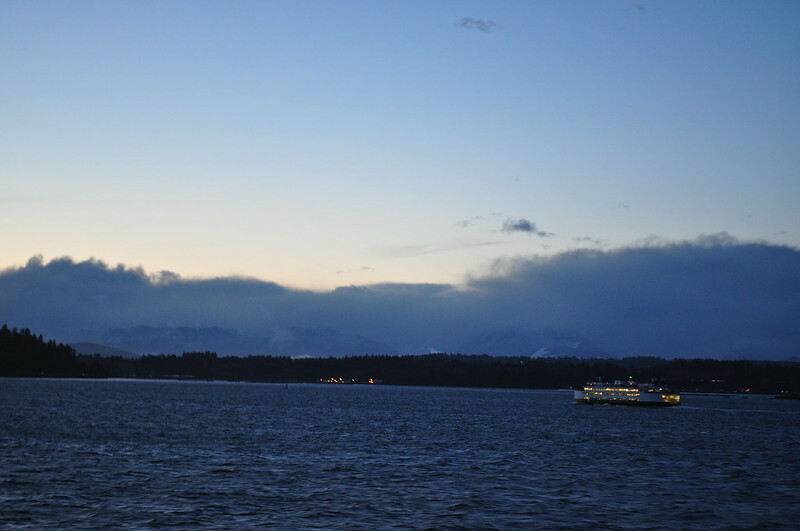 Kitsap as seen from the Kaleetan. 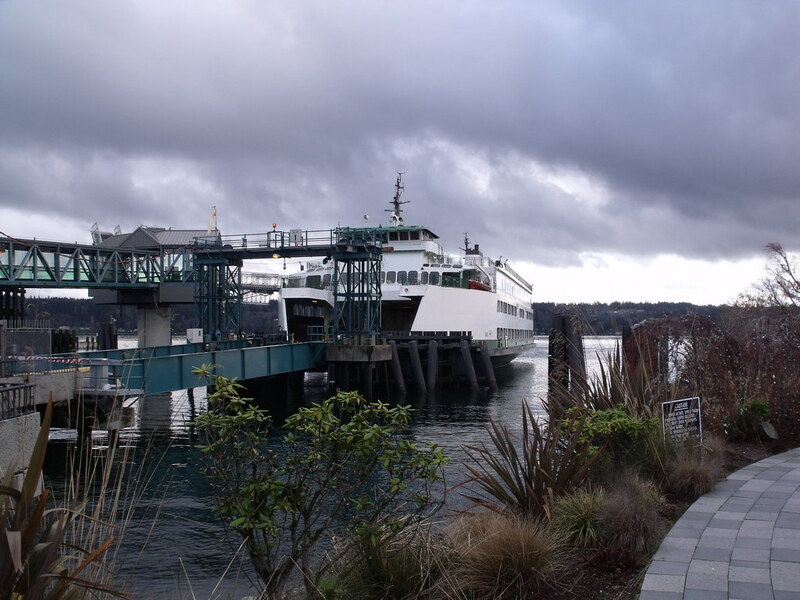 Kitsap arriving at Bremerton as seen from the museum a cross the street from the ferry terminal.